1. Make the lamb mixture: Set 1 1/2 lb. ground lamb in a large bowl. In a small bowl, mix 1 tsp. kosher salt, 1 tsp. ground cumin, 1 tsp. ground coriander, 1/2 tsp. 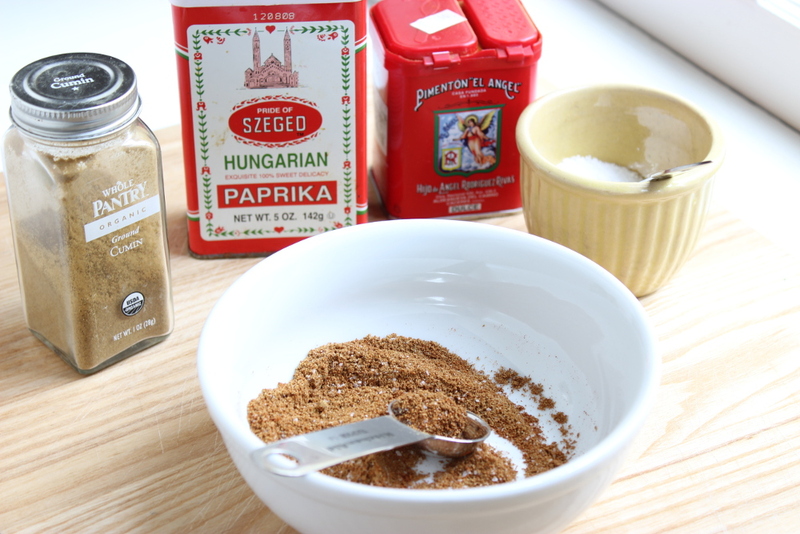 ground paprika, and 1/2 tsp. 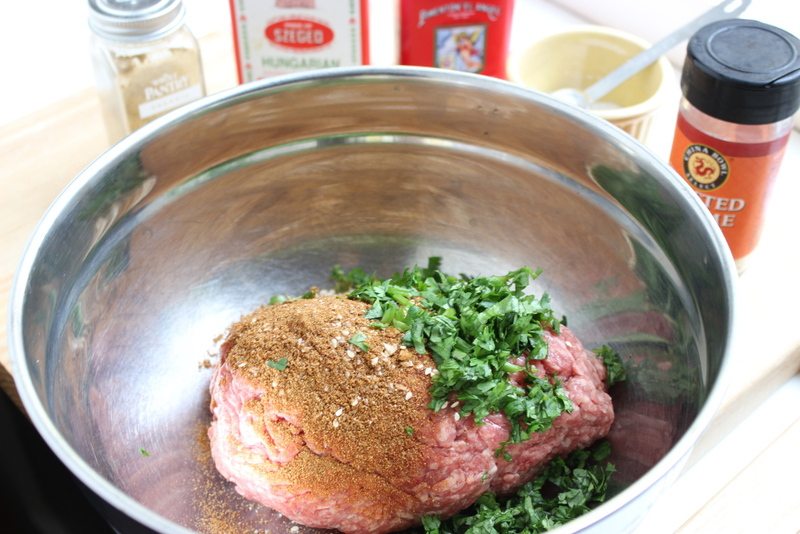 Pimenton de la Vera, Sprinkle over the meat along with 1 garlic clove (minced), 2 Tbs. chopped fresh mint, 2 Tbs. chopped fresh parsley and 1 Tbs. sesame seeds. Mix well to incorporate and then let sit for at least 1 hr in the refrigerator and up to 24 hr. 2. 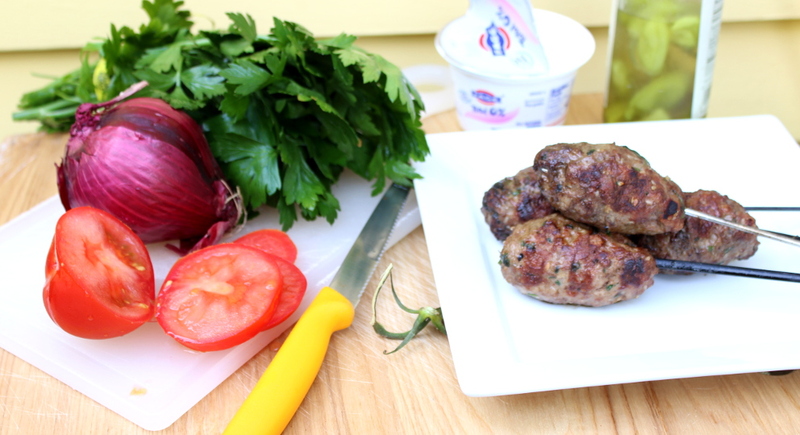 Form the kofta and make the yogurt sauce: Divide the meat into 2-oz handfuls and, using both hands, pack into cylindrical shapes; use cold water to continually rinse your hands. 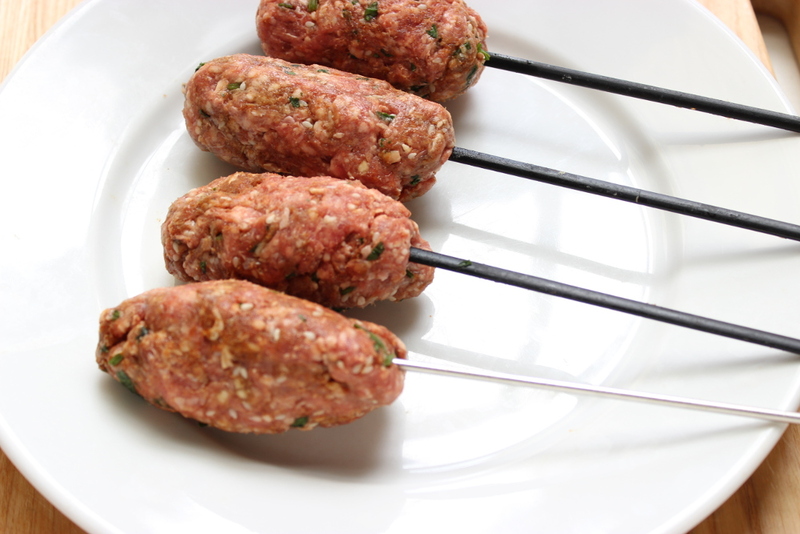 Thread metal skewers (or wooden skewers that have been soaked for 1 hr) through the center and refrigerate until grilling. For the yogurt sauce, mix 1 cup Greek yogurt with 1 cup finely diced cucumber (use a seedless cucumber), 2 Tbs. chopped fresh parsley, 2 Tbs. chopped fresh mint, 1 small garlic clove (minced) and S+P to taste. 3. 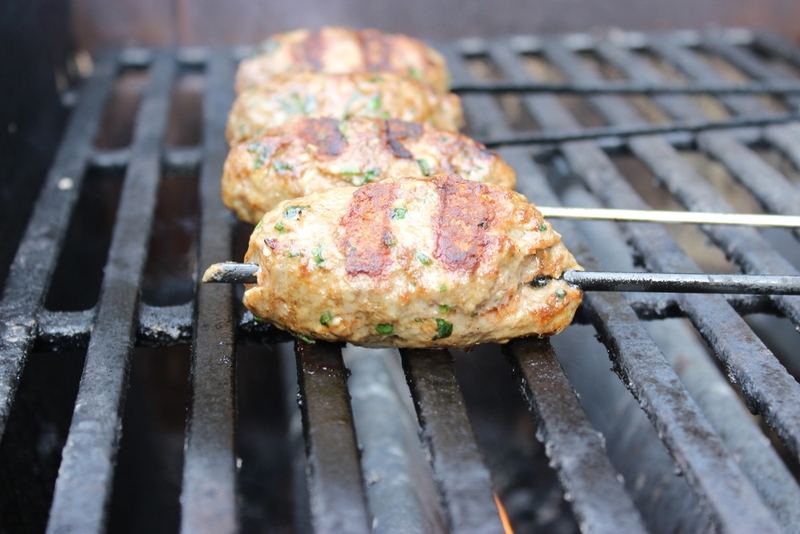 Grill the kofta: Prepare a medium hot charcoal or gas fire. 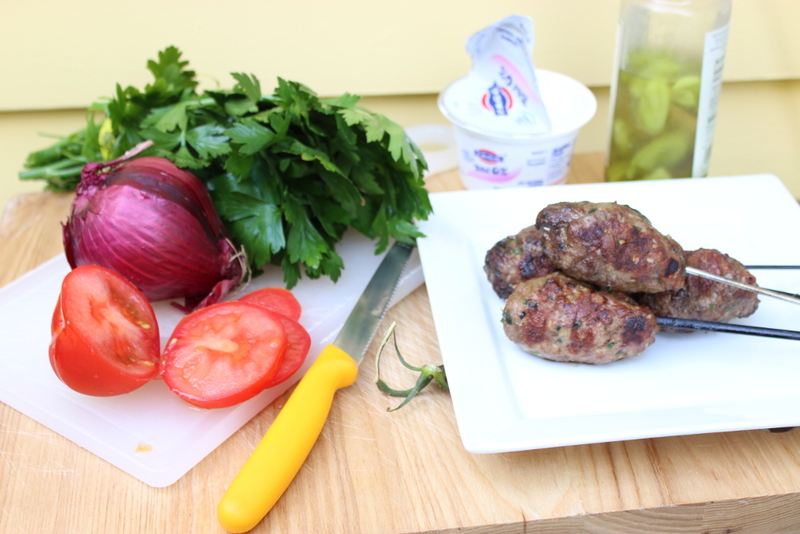 Grill the kofta, flipping every minute or two, until they brown evenly and are still light pink in the center when you make a nick into a thicker piece, about 6 min total. Serve with warm pita, sliced tomato and onion, and the yogurt sauce.